We all like belonging, feeling safe and confident when we’re with people who love and accept us. Being part of a family should offer that to our children. Here are nine ideas to help us grow that spirit of community in our families. 1. Pray together. Bringing family members’ needs to the throne of God unites our hearts. 2. Support each other’s endeavors. We all, as a family, go to the girls’ piano recitals, soccer games, or school concerts. My parents were wonderful examples of this when I was growing up. 3. Volunteer as a family. Whether at church or in the community, take advantage of every opportunity to serve others. 4. Read an exciting book aloud as a family. It’s fun to experience the story together and discuss what might happen next. 5. Set family goals and work toward them together. These could involve labor, like cleaning out the garage, or a fun project, like putting together a large puzzle. 7. Take trips together. While an actual vacation is nice, this could also just be a visit to the local zoo. 8. 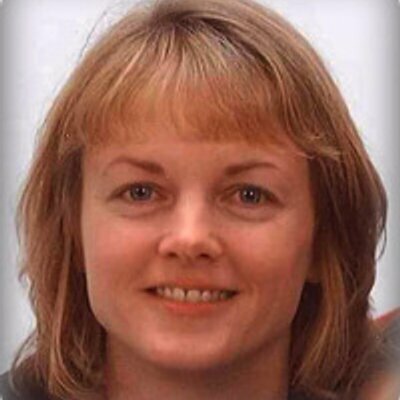 Respect each other by listening – and not interrupting – when someone else is talking. 9. Cultivate family traditions. If you’ve read here long, you know this is one of my favorite ideas! Even at 13 and 11, my girls still got chocolate bunnies in their Easter baskets yesterday – and I suppose they still will at 20! 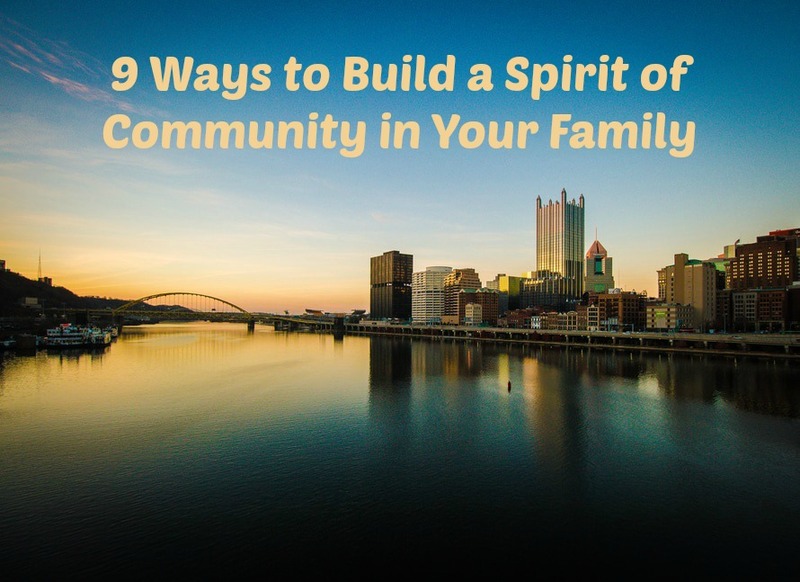 What are other ways we can build a spirit of community within our families? Great suggestions. We do many of these but I love the idea of the family competitions. Fun! I love these ideas! Some we already do, but others we should start. We're big on these, too – esp. the supporting everyone's endeavors. I love reading all the suggestions! I love all these ideas. We try to do most of them together as a family. I loved idea #6 where the kid gets a prize but it wasn't just another toy, they chose where the whole family go to go together! Love that! What a great prize!!! Thanks for sharing. These are great suggestions! Our family expanded last year and I'm now thinking of ways to continue knitting our hearts together. Do you have ideas from when your girls were little? My daughter is one, and I'd love some tips! When our girls were little, one of our favorite activities was "reading" together. Even before they could actually understand or sit still enough to listen to the story, we would cuddle and flip pages and I would name objects that were on the pages. We did this before nap time and at bedtime every day, and it became a little bonding period for us. This was mainly between our girls and I, but adding dad to the evening period would be great as well! Even though your daughter is so young, including her in any ministry or community-related opportunities you and your husband participate in (as is age-appropriate) might be helpful. You could even begin a very brief daily Bible time as a family, which could include singing a couple of children's songs and saying a quick prayer together. Just seeing you and your husband enjoying and loving one another will build security in her little mind and heart through these early years. You have a blank slate when it comes to creating traditions at this point – from a special song you sing at bath time to visiting a certain local landmark as a family every year. Blessings to you in your mothering journey! Thanks for taking the time to stop by here.